The good people at Lollyphile bring us these Sriracha flavored lollipops. Mmm, Sriracha: the magical sauce that you can put on everything, including your breakfast branflakes. 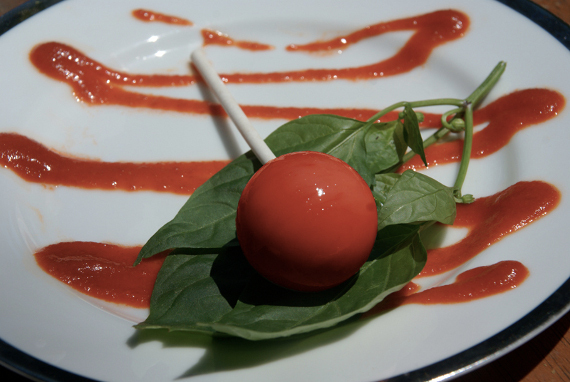 Ah man, I love Sriracha so I’m totally gonna put some Sriracha on my Sriracha lollipop. I know — I’m crazy! Don’t like Sriracha? You’re dead to me! Lollyphile offers tons more flavors like White Russian, Absinthe, Bourbon, and Habañero Tequila. Yes, I only mentioned the booze-related ones. Why? Because that’s all that matters to me. Booze, Sriracha, candy, and my reputation. Just kidding I gave up on my rep years ago. So just booze, Sriracha, candy. The trifecta of malnutrition. Wow, sriracha lollipops sound quite interesting. I can’t decide if they sound good or not, but I am very intrigued and I want to try one. I have never had a savory lollipop and I am having a hard time conceptualizing what they would be like. I love sriracha, though, so I think these would be a great foray into the world of savory lollipops. I really wanted to try them too. I ordered a dozen of them on 4/26. Its 5/14 and they are still not here. I was really excited to see something this good, but now lollyphile et al are leaving a bitter taste in my mouth. I hope that they are worth the wait. Lollyphile has an F rating with the Better Business Bureau. They do not respond to emails and they do not ship out your product, but they do take your money. AVOID.